Korean Ministry officials, executives, retailers, and buyers gathered in Los Angeles last week to celebrate the brand launch in the U.S. 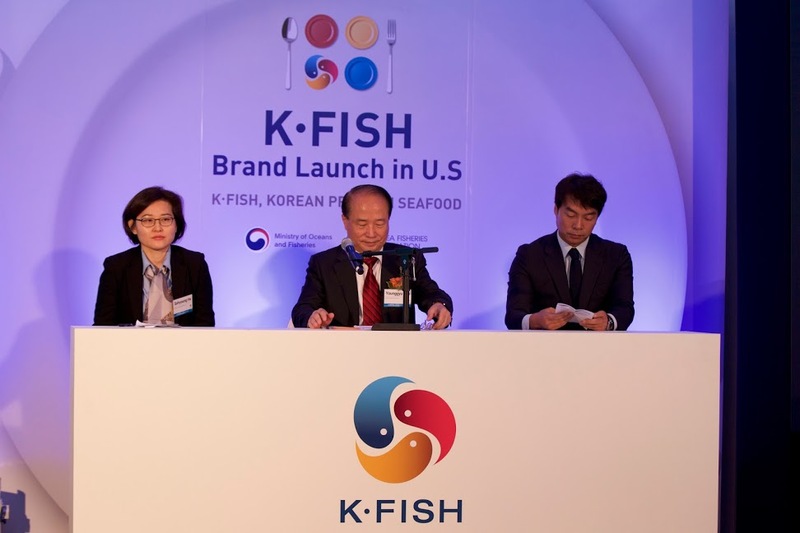 The brand launch of the Korean Fishery Exports’ national brand, K-FISH, was held at the Waldorf Astoria Beverly Hills Hotel last week on November 9th. It aimed to promote the quality of Korean seafood and enhance its global competitiveness. More than 100 people including seafood buyers, Korean Ministry officials, K-FISH executives, retailers, the media, and famous food columnists attended the event. This event showcased the 11 seafood products available for export, which are Gim, Flatfish, Abalone, Miyok, Conger, Seasoned Squid, Oyster, Red Snow Crab, Fish Cake, and Tuna (canned and retort). The attendees were offered samples and learned of the quality of Korean seafood. 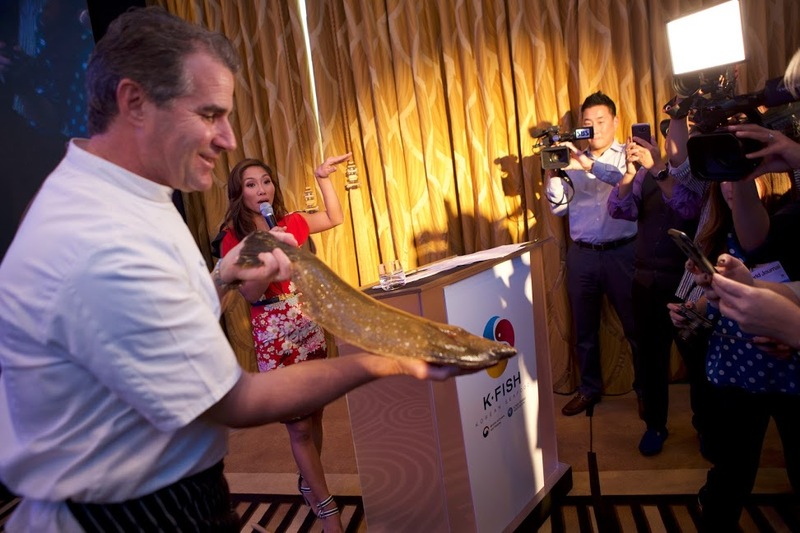 Julie Chang, a local news anchor, hosted the K-FISH launch event. Chang began the day’s events by introducing the K-FISH brand and stressing the clean ecological environment for its production, the strict brand usage guidelines, and the rigorous quality management. A presentation by seafood expert Chef Kerry Heffernan and Steve Broad, CEO of Gimme Health Foods, a major distributor of Korean Gim, followed the brand introduction. They each shared their experiences with K-FISH products from their perspective channels: Broad from retail, and Heffernan through product selection, recipe development, and preparation at his restaurants. The highlight of the event was the media Q&A session about the K-FISH brand and products. K-FISH is a Korean Fishery Exports national brand overseen by the government of the Republic of Korea and sets a new standard for aquatic products, meeting strict government quality regulations and evaluation criteria. Only select marine products that meet these guidelines are allowed to carry the K-FISH name. K-FISH guarantees only high-quality, fresh, delicious seafood. K-FISH is introduced for the promotion of Korean seafood exports, and carrying the K-FISH brand requires documentation of qualifications and site-inspections by the expert group, and an approval from the operation committee.